Have you ever walked into a restaurant as a stranger and walked out as a friend? This is exactly what happened to me recently at Moe’s Bistro in Lebanon. I am in love. From the outside, Moe’s Bistro looks like just another storefront restaurant, sporting a simple black sign. Step inside and you will be pleasantly surprised! The welcoming atmosphere is colorful and adorned with beautiful details: no two tables and chairs are alike and different plates are used throughout. Moe’s is unique, oozing both charm and class. But the best part is the food—I fervently believe that you will enjoy one of the best meals of your life here, while making friends with the chef and owner, Moe. From the snow-capped peaks of Italy to the azure waters and the broiling deserts, the cuisine of the Mediterranean is diverse and delicious and there is no better chef to introduce you to it then Moe. 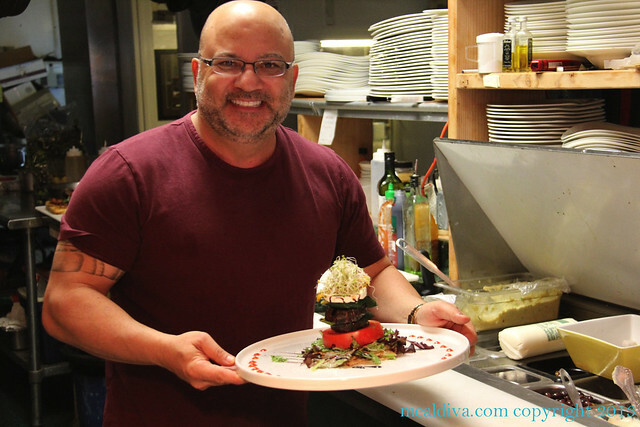 He is a hands-on Mediterranean chef in the classical sense of the word—truly an expert and enthusiast who pays attention to every last detail. His menu is constantly changing based upon in-season ingredients and what’s fresh. He believes in “slow-food,” as in he does not rush you. His restaurant only seats 35 to 40 people and he would rather you spent three hours eating than turn your table over. In fact, he told me that if you’re in a rush, don’t come to eat. With special ambiance, precise and balanced food, and care for his customers, Moe’s truly offers an excellent eating experience. 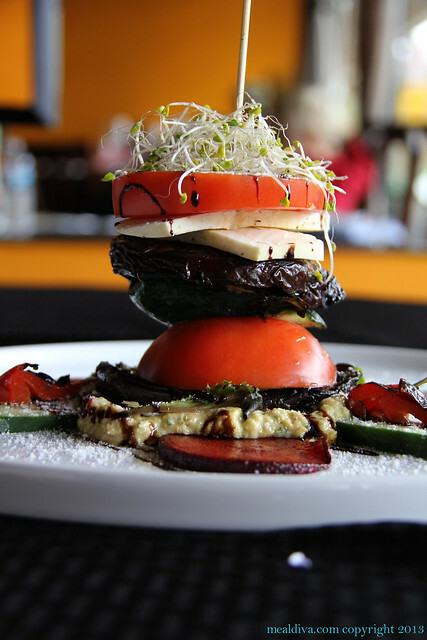 A few of Moe’s current menu items include a beautiful grilled vegetable tower: an amazing combination of fresh and grilled vegetables all stacked together in a beautiful display with a little hummus and a drizzle of balsamic. 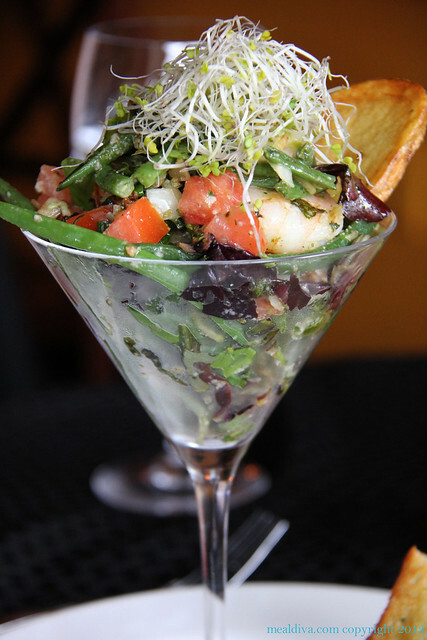 Then there is the shrimp martini: warm garlic shrimp served with an array of sautéed vegetables and leafy greens in a martini glass. 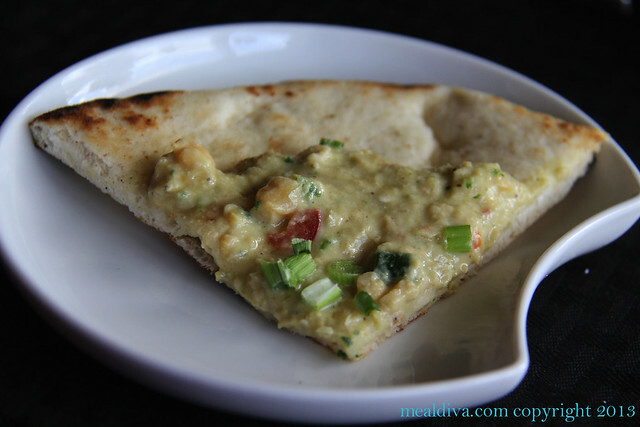 Even the simple, warm pita topped with baba ganoush was amazing. All of the entrées—from the penne to the swordfish to the sirloin steak—look amazing and are served with “Seven and Seven.” No, it’s not a drink, it’s seven potatoes and seven sautéed vegetables combined together to create a mouth-watering accompaniment to your entrée. Delicious. 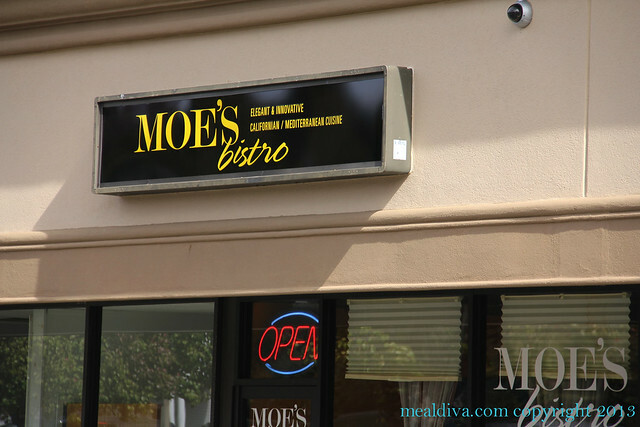 Moe’s Bistro, with its quintessential Mediterranean feel and beautiful entrees, is my pick for date night in Hunterdon County! It’s open on Tuesdays for lunch then Wednesday through Saturday for lunch and dinner. Reservations are highly recommended, as there is no waiting area. So go pick up a great bottle of wine and head on over to Moe’s for an intimate dining experience like no other. Tell him Jen, the MealDiva, sent you. Enjoy!